If you are coming out of a rough divorce, then spring cleaning is the perfect time to physically and metaphorically scrub away all the lingering bad memories of your marriage. Rooms, objects, and even décor all have the ability to absorb meaning, emotions, and memories. Walking into your bedroom may remind you of the fights you had with your spouse, or that couch in the living room can trigger feelings of sorrow after many hours spent crying into its throw pillows. Don’t let these memories and negative emotions strangle your chance for a new start! Of course, divorce is expensive, and with the loss of your ex-husband’s income, you may not exactly be able to put up hundreds of thousands of dollars for a whole home remodel. Not to worry! Small changes and savvy remodeling tricks can dramatically change the feel of a room, wiping away past memories and giving you the opportunity to create brand new ones as an independent and confidant woman. Get rid of all the knick-knacks in your home that hold bad memories. Use Craigslist, eBay, or Amazon to sell them to a new family. The profit you make can help finance your other updates. Re-painting your entire home is a huge undertaking, and can get expensive if you hire professionals. Instead, consider painting a single accent wall in your main rooms (living room, bedroom, and/or dining room). Choose your favorite shades (who’s going to stop you?). You’ll be amazed at how just painting a single wall can completely change the look and mood of a room. If you and your ex bought your furniture together, consider selling it and buying something that matches your own taste. Furniture represents a big expense, but you’ll be amazed at the deals you can get on Craigslist if you are flexible and patient. There are a lot of duds, but eventually you’ll find some diamonds in the rough. After you get done tossing all the things in the house that remind you of your ex, you may notice your walls and shelves looking a little bare. No problem! Using your newly gained cash from selling your old possessions, head to your local swap meet to find great new décor for your home. You are going to have to wade through a lot of trash before you find your treasure, but it’s worth the savings. Swap meets are an excellent place to find new artwork, dishware, accent items, and more. Haggling is also expected, so work your way to great deals. Replacing kitchen cabinets is expensive, but you can completely change their look by staining them a different shade or even painting them a funky color. Even a small color change will turn your kitchen into a whole new room. Head to your local home improvement store or browse a huge retail site like Amazon to find new drawer handles and cabinet knobs. These little guys won’t set you back much money, but will make a big change to your kitchen. To make your kitchen transformation complete and to add a distinctive new feature to your bathroom, buy stick-on backsplash tiles from your local home improvement store. These things are incredibly easy to apply and look very lovely. Sometimes the smallest things can hold the most memories. If you’ve had your towels and sheets for years, they’ll continually remind you of the past. 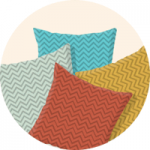 Head to an off-price retail store, like Ross or Big Lots to find amazing deals on perfectly good home accessories. Major department stores, like J.C. Penney, Sears, and Macys are always having big sales, too, and you can get major deals with a little patience and some savvy coupon clipping. Light plays a huge role in the look and feel of a room. While you’re at the swap meet or digging through deals at off-price department stores, look for some new lamp shades. Just switching out a lamp shade can dramatically change the color tones of a room. For an even bigger effect, move your lamps to different positions in each room to create new shadows and focal points. Sometimes it is worth spending a little money to create the right look. In honor of spring cleaning, hire a company to come in and give your house a nice, deep clean. This includes washing the outside of the house, giving the windows a good scrub, and steam cleaning the carpets. This major clean will be the perfect finishing touch after all of your other changes. Now that your abode is sparkling clean and filled with all your new personalized stylish touches, it will truly feel like a brand new home. This is the perfect place for you to build your new life after a divorce. 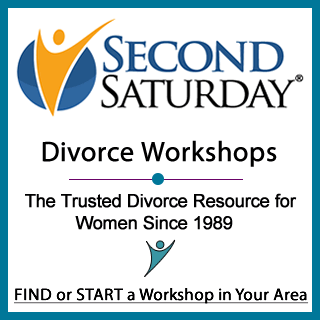 Keep reading our divorce articles for even more tips on how to enjoy your post-divorce season of renewal.